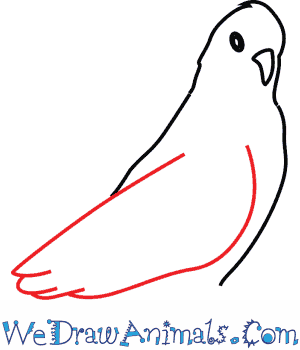 In this quick tutorial you'll learn how to draw a Galah in 7 easy steps - great for kids and novice artists. At the bottom you can read some interesting facts about the Galah. 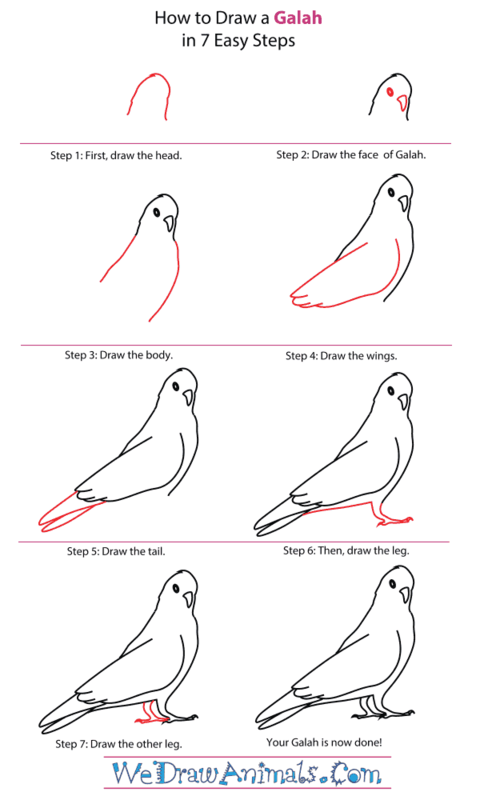 Step 1: Let's draw a galah! Trace an upside down letter U for the head. 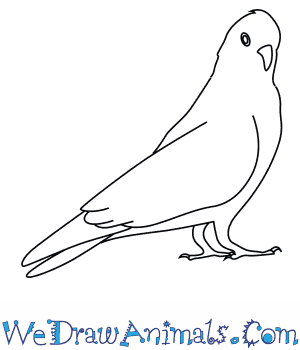 Here's a tip: don't trace the lines perfectly and add a line at the top of the head to show off the plumage. 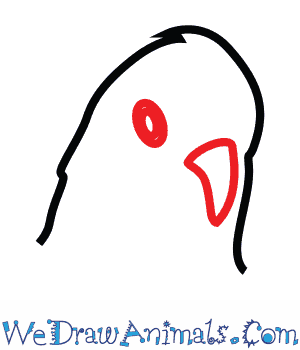 Step 2: For the beak, draw a curved triangular shape, and for the eye, color in a circle, leaving a tiny space in the middle uncolored. Step 3: From either side of the galah's head draw lines coming down for the body. 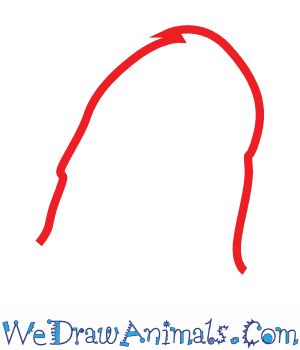 Step 4: For the wing, draw a straight line across the back and a curved line down the front of the body. To bring both lines together, trace the feathers at the end of the wing. 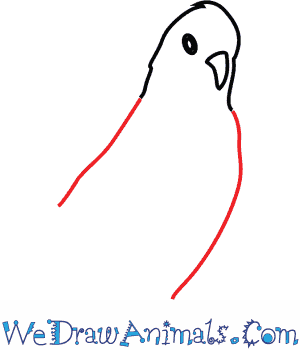 Step 5: From behind the feathered end of the wing, draw a long triangular shape, and then a tube-like shape behind that. Here's a hint: the tail will kind of look like a pair of scissors. Step 6: Starting at the front of the body, trace a short thin leg, making sure to draw claws at the end. Next, draw a straight line across the back to complete the body. Step 7: Last, draw the second leg, making it short and thin like the first. But be careful! Make sure the front of the leg is partly covered. There's your galah! A Galah is a type of parrot. Its colors are usually pink and gray. Galahs have been known to fly for miles in order to find a good enough food supply. They will even travel in packs of a hundred or more birds, which makes sense because hey, if the one bird knows where the food is, why not follow him, right? 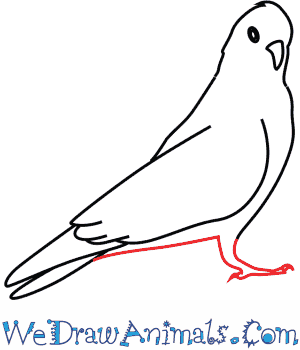 Galahs used to be found only in the dry areas of Australia. Though, in recent years, they have spread out to even more areas. Large, open spaces are a Galah’s favorite place to hang out. It’s not uncommon to see them on golf courses or ball fields. This is because they like to cover a lot of ground when they look for seeds, fruit, or roots to eat. When Galahs get together in large groups, they can do a lot of damage to farmers’ crops. They usually like to eat wheat or sunflower seed crops. If a Galah flock is around, you’ll know it – they can be very noisy with their constant chatter. People in Australia even call it a “galah session” if people continue talking to each other for long periods of time.